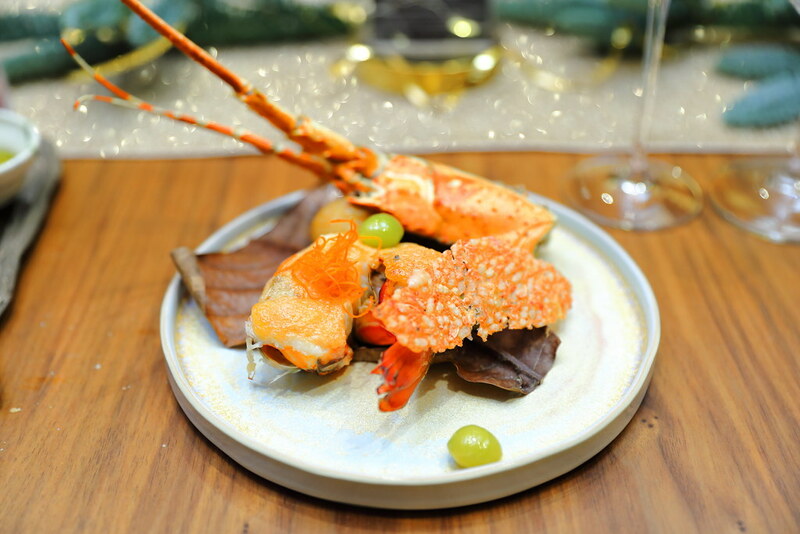 This year Christmas function at Pan Pacific Singapore is held at the new built Keyaki Garden Pavilion that is located in the beautiful Japanese Garden. Overlooking the skyline of Marina with a lush green landscape and a koi pond, the garden pavilion seating up to 40 pax, can be tailored to different events, perfect of the festive seasons. In addition, the various F&B establishments at the hotel will be also rolling up different festive menus as well as gourmet takeaways. 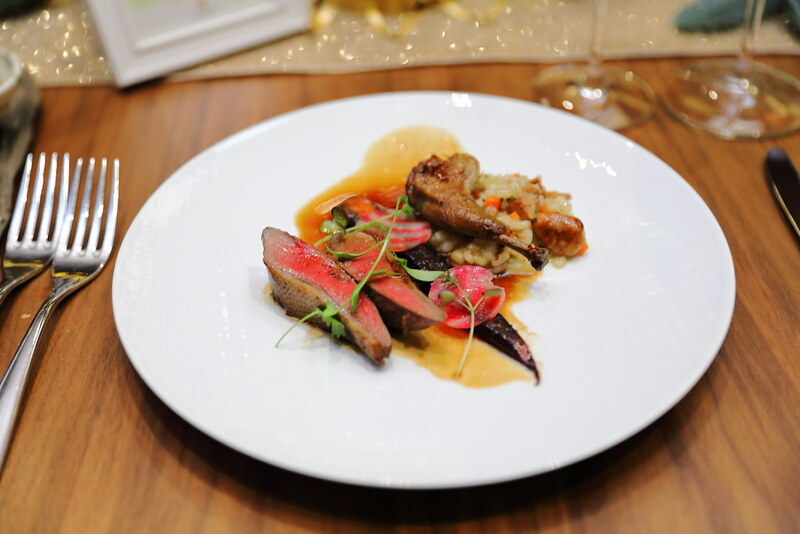 From their popular buffet restaurant - Edge, we are served the Homemade Pork Pate Terrine and Cabernet Wine Poached Pigeon. 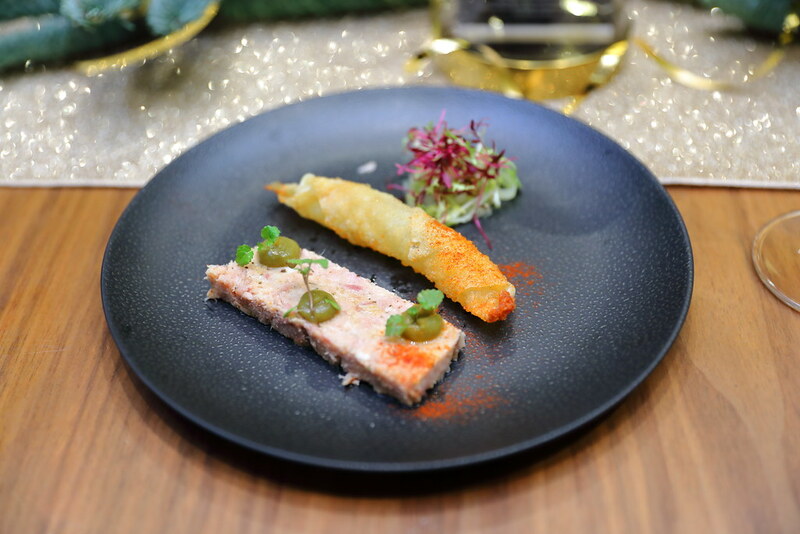 The homemade pork pate terrine comes with smoked green tomato, peppercorn and tonne de savoy beignet. This is best to have together with some warm bread. As for the cabernet wine poached pigeon, it comes with chestnut barley risotto. The pigeon is cooked to a beautiful pink which tasted really lovely. 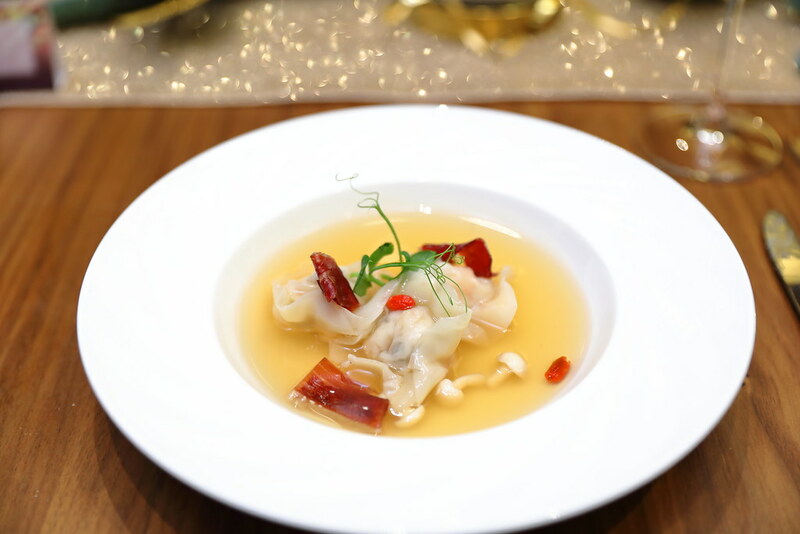 What impressed me most is the dish from Hai Tien Lo, Braised Parma Ham in Supreme Stock accompanied with Turkey Wanton. Two different types of ham are used in the dish, perfuming it for that extra flavour. For those that dislikes the porky taste, the clever use of the turkey for the wanton is a delicious rendition. 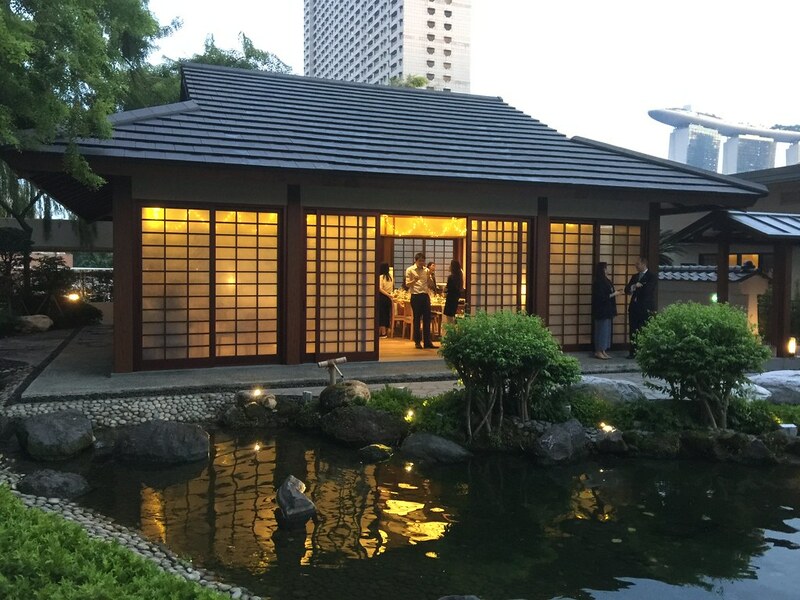 One of the latest addition to the restaurants at Pan Pacific Singapore is the Japanese restaurant - Keyaki. We had the Grilled Lobster with Spicy Cod Roe Sauce. What stole my heart is the cracker that is packed with the crustacean flavour. 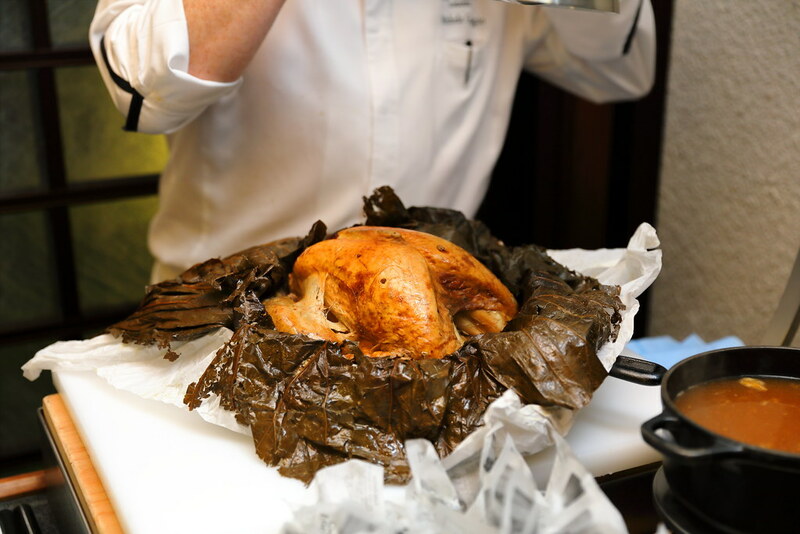 This year Pan Pacific Singapore has created the Baked Eight Treasures Turkey ($178) which is baked in lotus leave. In the turkey you can find stuffing such as chestnuts, yam, mushroom, Chinese sausage, red date, wolfberry, gingko nut and dried shrimp. An Asian take of the tradition turkey which is a winner for me, that will suit the local palate. Besides the gourmet roasts for takeaway, there are other Christmas log cakes and sweet treats selections too. 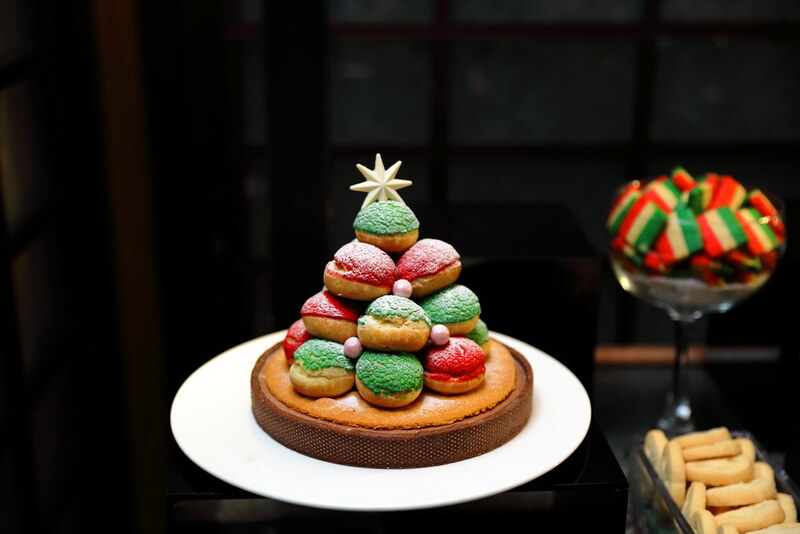 Looking magically christmassy is the Choco Choux Sapin Tart ($65, 1kg). 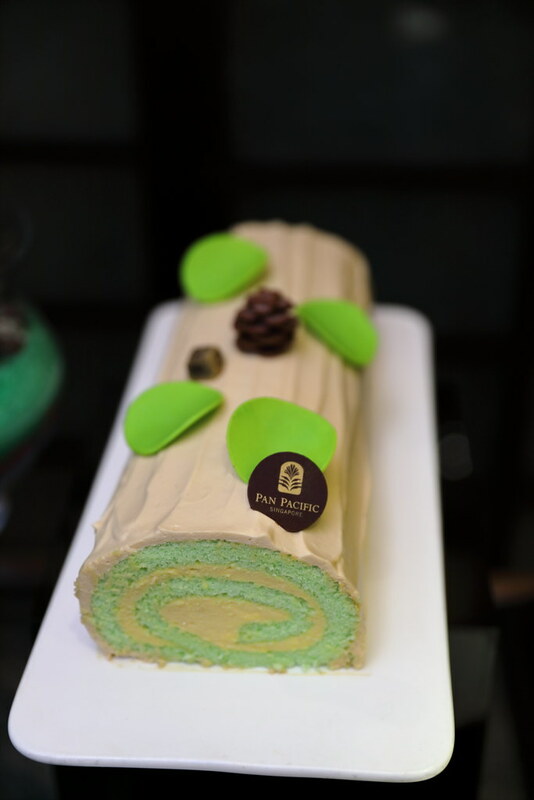 For the log cakes, there are D24 Durian Pandan Log ($70, 1kg), Strawberry Rhubarb Buche De Noel ($70, 1kg) and Gianduja Caramel Log ($70, 1kg). 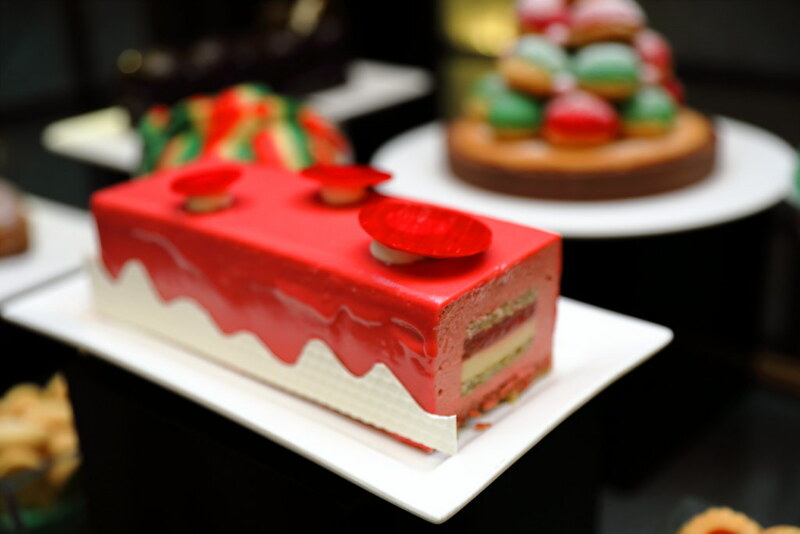 I am not a cake person but these log cakes created by Pastry Chef Eddy Yau are not over sweet, delicious and well balanced in flavours. From 12 November to 26 December 2018, guests may order the festive goodies at Pacific Marketplace (level 1) or via online orders at pacificmarketplace.sg, and collect their purchases at Pacific Marketplace between 1130am and 9pm. Enjoy 15% early bird savings for orders made from 12 to 30 November 2018. To place an order, speak with us at 6826 8240, email dining.ppsin@panpacific.com, or visit pacificmarketplace.sg.